Hi Friends! I hope you are having an amazing weekend so far! 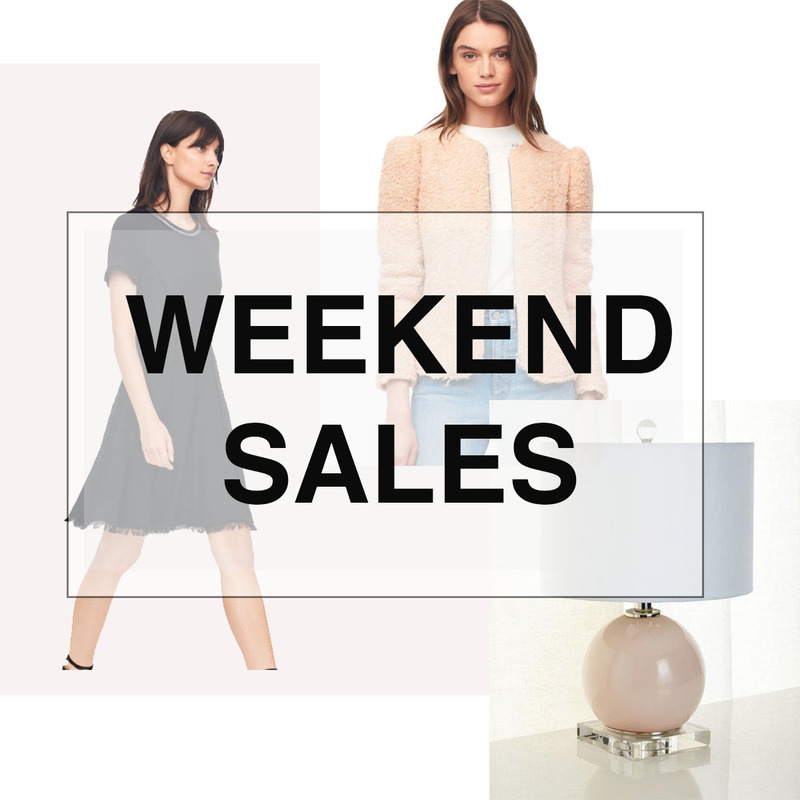 There are some incredible sales taking place online this weekend in honor of Columbus Day! It was really hard not just to narrow down the list of retailers having sales but also my favorite picks since there is some really great merchandise marked down! Below you’ll find of list of some of my favorite retailers having sales as well as my favorite finds and any codes or important dates you need to know. I hope you enjoy this post and have a great rest of your weekend! NEIMAN MARCUS– 25% Off Fall Essentials with code: CHICWEEK (ends 10/9). I need to find somewhere to wear this dress and these velvet skinny jeans are AMAZING! REBECCA TAYLOR– Extra 25% Off with code: 25FAMILY (ends 10/11). There are few things I don’t love at Rebecca Taylor but a couple of my favorites from this sale are this fluffy tweed jacket and this classic tweed dress. LOFT– Extra 40% Off with code: FALLFEST (limited time only). My new tweed dress that I adore for the season is now on sale and this top is so adorable! POTTERY BARN KIDS– Extra 20% Off with code: FRIENDS (ends 10/9). I’ve been eyeing this sweet craft table for Bennett and I also want to get him one of these cozy lounge chairs. H&M– Up to 60% Off Select Merchandise (no code necessary, limited time only). I love this simple hooded gray sweatshirt and this sweater is the prettiest color and UNDER $20! LANDS END– Receive 30% Off Regular Priced Styles with code: GOURD and pin: 3501 (ends 10/9). This sweater looks incredibly comfy and I love the berry color of this sweater. SAKS FIFTH AVENUE– Up to 25% Off Select Merchandise (no code necessary, ends 10/8). These perfectly distressed ankle skinny jeans are part of the sale as well as this beautiful bell sleeve dress that would be perfect for The Holidays! HORCHOW– Extra 25% Off Select Merchandise with code: WALLART (ends 10/9). How gorgeous is this accent lamp and I also LOVE this print!